One familiar face from Youngstown State University was in the crowd during President Donald Trump’s State of the Union Address on Tuesday night. 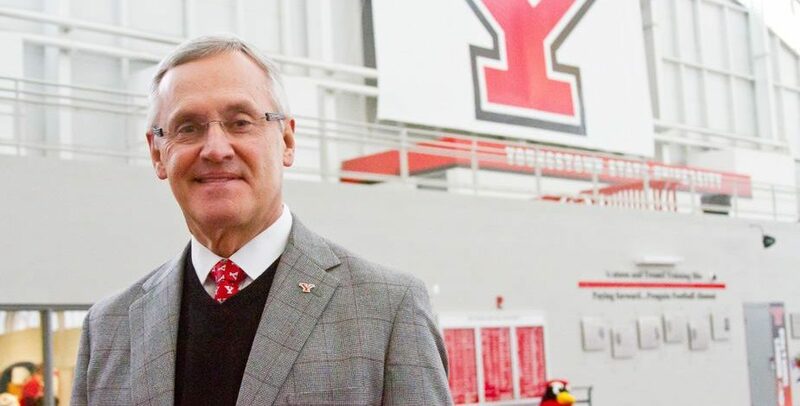 President Jim Tressel attended the address as U.S. Rep. Anthony Gonzalez’s guest and said he had a wonderful “once in a lifetime” experience. Gonzalez, elected in November, was a former wide receiver at The Ohio State University under Tressel’s reign as the football coach. “[It was] truly an honor to have one of my former students invite me to be at his first State of the Union Address as a U.S. Congressman representing Ohio,” Tressel said. The invitation comes after Tressel urged Gonzalez to consider public office, according to the Columbus Dispatch.